Daniel Goleman is an internationally recognized psychologist, and the New York Times best-selling author of Emotional Intelligence which has sold over 5 million copies world-wide and has been printed in 40 languages. The Harvard Business Review called emotional intelligence— which discounts IQ as the sole measure of one’s abilities — “a revolutionary, paradigm-shattering idea” and chose his article “What Makes a Leader” as one of ten “must-read” articles from its pages. 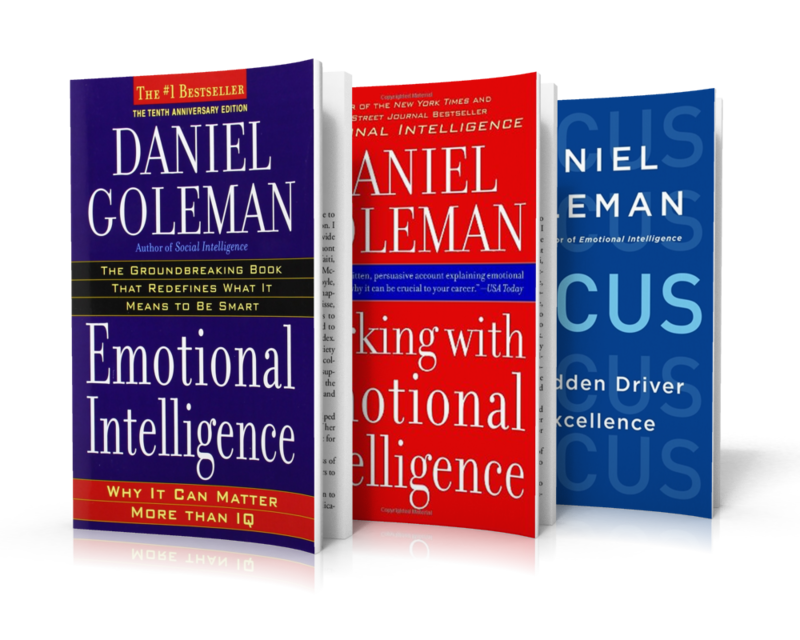 Emotional Intelligence was named one of the 25 “Most Influential Business Management Books” by TIME Magazine. The Financial Times, Wall Street Journal and Accenture Institute for Strategic Change have listed Goleman among the most influential business thinkers. Goleman’s work as a science journalist has been recognized with many awards, including the Washburn Award for science journalism, a Lifetime Career Award from the American Psychological Association, and he was made a Fellow of the American Association for the Advancement of Science in recognition of his communicating science to the general public.